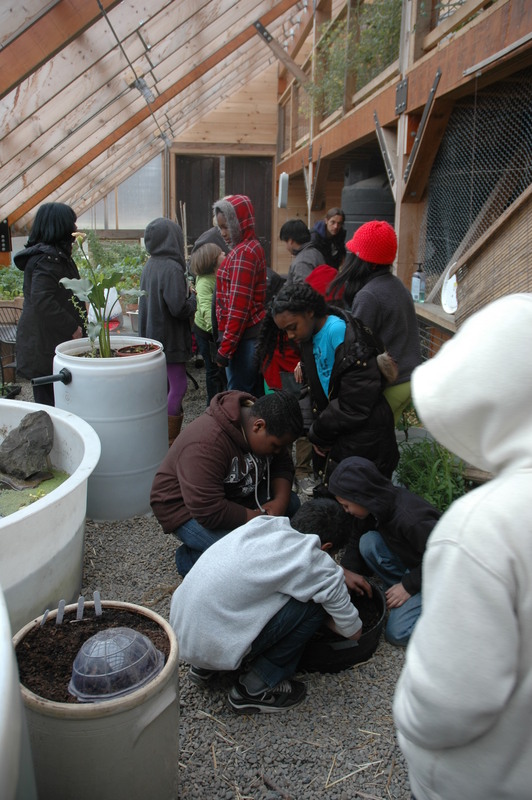 In late March, 5th grade students from the Albany Montessori Magnet School paid another visit to the Radix Center. 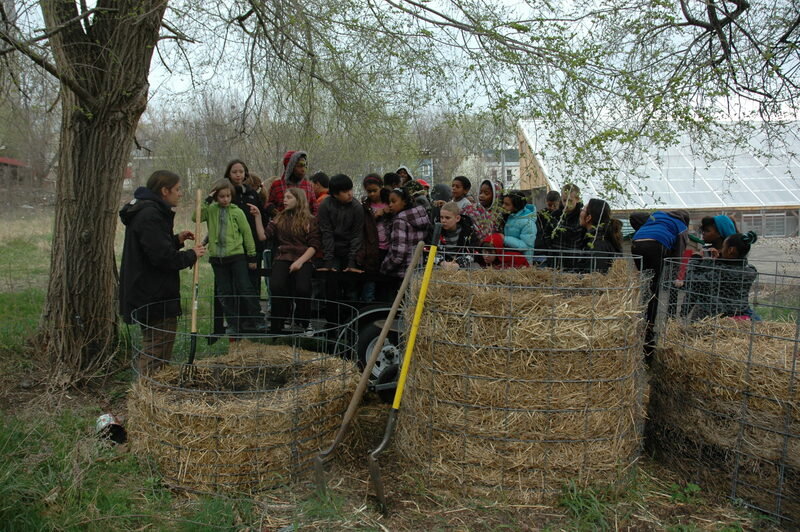 The students learned about compost and examined an outdoor compost pile. They saw developments inside the greenhouse since their last visit, including vegetable plants and how much the fish have grown. 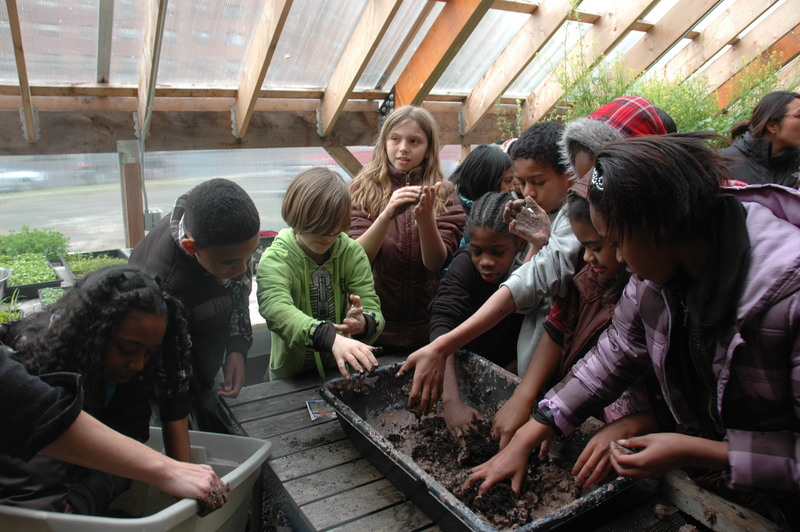 Students learned about vermicompost, and examined the rich by-product. 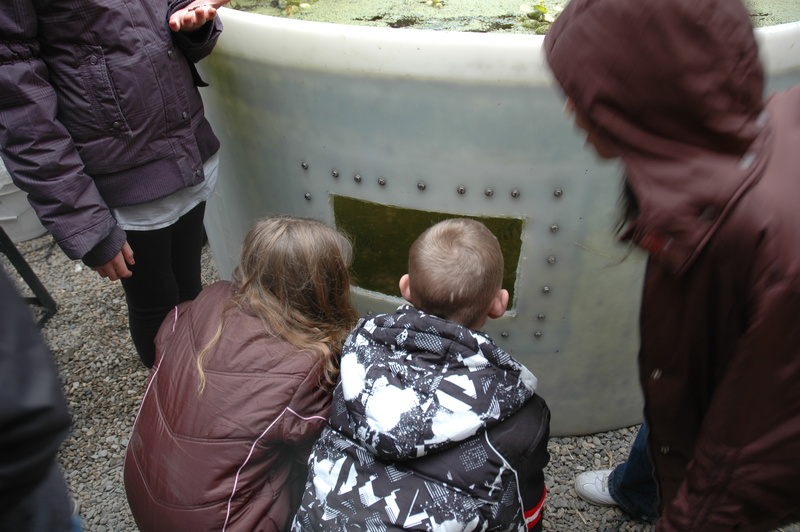 They also picked worms out of the vermicompost layers and fed them to the baby chickens and fish. 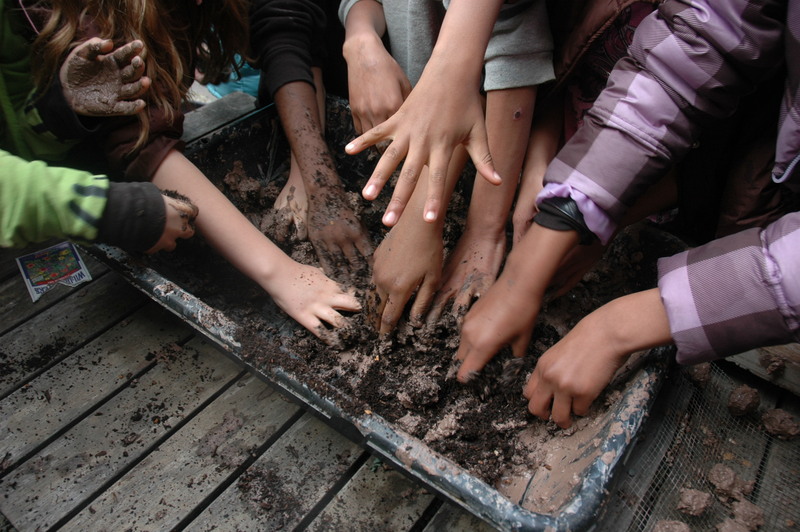 They got their hands dirty making moss graffiti, and using compost to make seed balls, which were scattered around the Radix Center fence.